Details: This view is a rarity in two respects. Firstly, it was taken inside Ruislip Depot, one of several locations where the SVs are kept well away from public view. 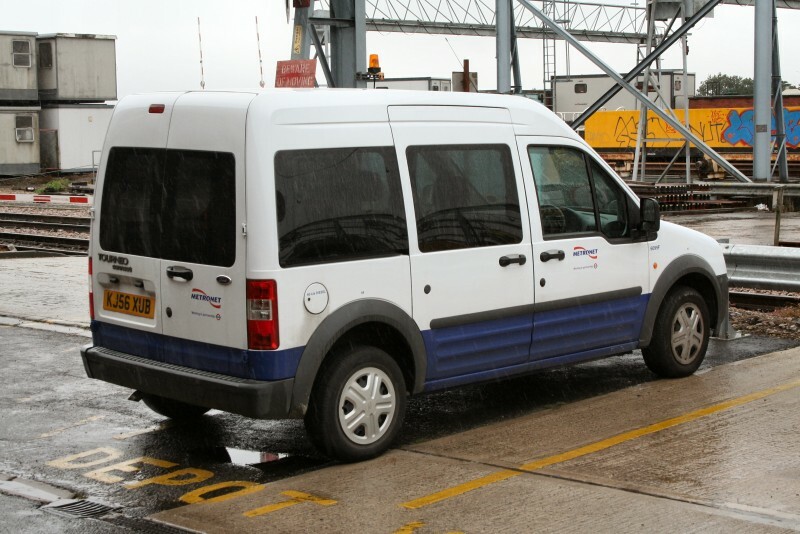 Secondly, it shows a Ford Tourneo Connect, the minibus version of the Transit Connect van. Only four of these vehicles have carried LUL livery, and all were operated by Metronet BCV. BCV also ran several of the similar but slightly smaller Renault Kangoo cars. The rainy day was 9th July 2008.